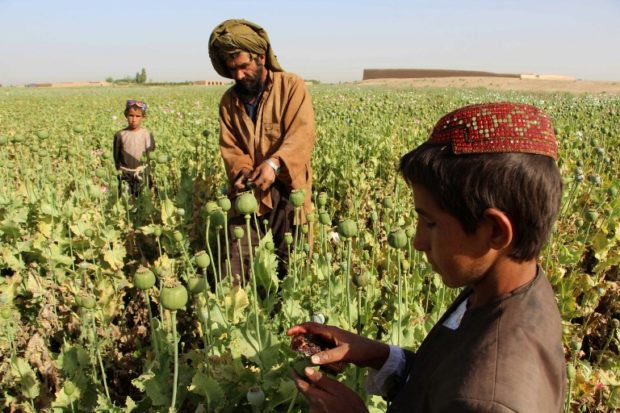 In 2016 Afghanistan, which produces 80 percent of the world’s opium, made around 4,800 tonnes of the drug bringing in revenues of three billion dollars, according to the UN. 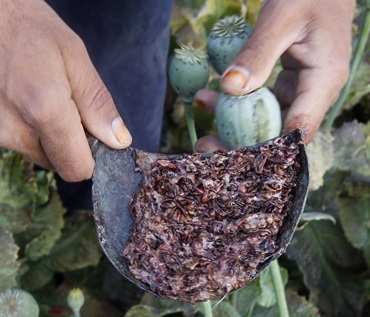 The Taliban has long taxed poppy-growing farmers to fund their insurgency, but officials are concerned it is now running its own factories, refining the lucrative crop into morphine and heroin for export. Poppies are cheap and easy to grow and make up half of Afghanistan’s agricultural output. Farmers are paid about $163 for a kilo of the black sap — the raw opium that oozes out of poppy seed pods when they are slit with a knife. 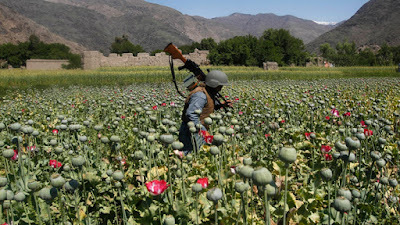 Once it is refined into heroin, the Taliban sells it in regional markets for between $2,300 and $3,500 a kilo. By the time it reaches Europe it wholesales for $45,000. 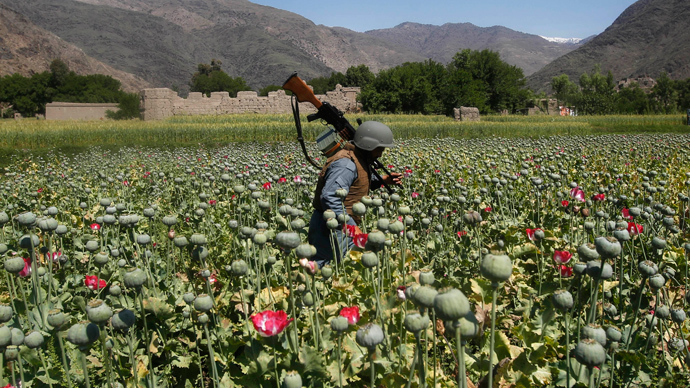 The United States has spent $8.6 billion since 2002 in the war against drugs in Afghanistan, but Afghan-sourced heroin is still reaching North America. More than 90 percent of all heroin consumed in the US is of Mexican origin. But in Canada more than 90 percent of the heroin consumed is from Afghan sources.